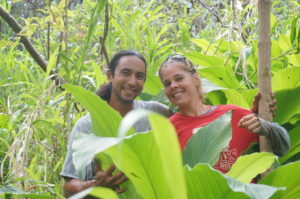 Turmeric Products made using only local (Hawaiian), fresh, high quality turmeric from growers you can trust. Meet the Growers here! The turmeric used in these products are hand planted, hand tended, hand harvested and processed by people who care about you and the planet. 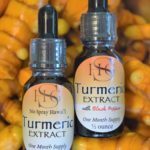 To ensure you are receiving the freshest products on the market, the turmeric utilized for the Powder and Capsules is harvested fresh, for you, every week. 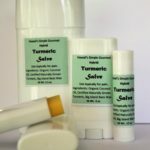 Check out our new product: healing salve. Products include: Turmeric Extract, Turmeric Filled Capsules, Turmeric Powder, Turmeric Salve and Turmeric Flavored Chocolate. Hand pollinated in the jungles of Hawaii. These vines are wild grown, not farmed. They have been growing for years without any inputs or tending from humans. If pollination is done correctly a bean will form. After nine months of growing, the beans are hand picked and cured to perfection. The small quantity ensures the process is done correctly. 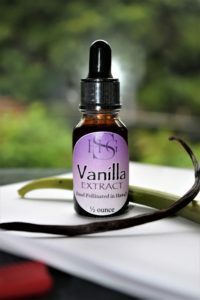 The quality of the beans is portrayed through in our Wild Hawaiian Vanilla Extract and as a flavor in our Hawaii’s Simple Gourmet Chocolate. Meet the Grower. From the gardener to you….